Artsygranny's Digital Delights: What a BEE-utiful day! I hope your day is as filled with sunshine as this little corner of the planet. What is all the hooplah? I've got some great news to share with you. Yesterday, as I was "blurfing" (what my friend Sandie, from Bearpatch Crafts, calls blog surfing) I happened to visit Susan Darter's blog, Raspberry Road Designs http://raspberryroaddesigns.blogspot.com/search/label/Freebies . Susan is a fantastic designer, and as I have said in one of my earlier posts, a great inspiration to me. And she has great freebies too. But, there is more to the story. After I had finished the files and sent them to Susan, she e-mailed me again. This time it was to ask if I would be interested in designing brag books and quick pages using her kits. That's about all of the news I have for now, but what a great day I have had. I hope your day was just as good! OMGSH that is awesome! I downloaded the brag book and have only one thing to say... gf you have TALENT! I love it! I too want to thank you for sharing. You have aknack for making BB pages that really bring out the best in a kit. Congrats on joining Susan's team. Looking forward to your creations. 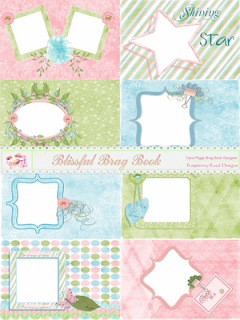 Thank you very much for sharing your gorgeous brag book pages made with this beautiful kit of Susan's!! Happy to hear that you will be working with Susan, she has so many lovely collections - can't wait to see your new creations. Well done! The Brag Book pages are beautiful. I look forward to seeing more of your work. 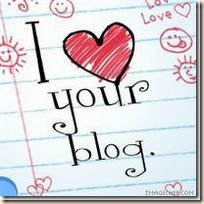 Hi Popped over to your blog to say thanks for the brag book pages its beautiful and very vestitile Love it!!!! Glad we can look forward to more! These BB pages are beautiful! Thank you for creating and sharing! Congrats on getting to design! Just a note to say thank you for the awesome brag book. It turned out quite lovely. Will be looking forward to seeing your designs with Susan's kits. Great Job! The brag book pages are adorable. Thank you for such a fun gift. I too look forward to using your designs for Susan. Don't you just LOVE working with Susan's stuff? She is just awesome - I am looking forward to seeing what other wonderful things you come up with. Thanks for sharing!